Tuesday, February 26th in Shore at 4:30. 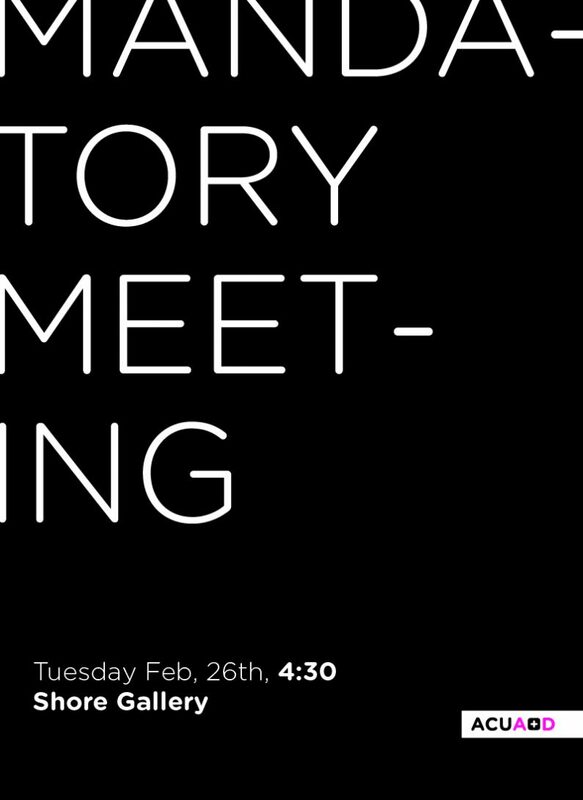 Students please make arrangements with your work and other classes so that you can attend this meeting. If you are going to be unable to attend please email me with a reason so I can give that to Mike.